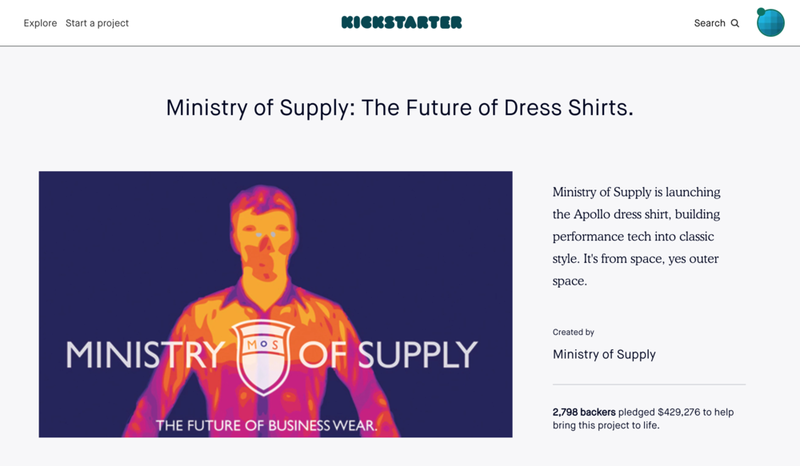 Ministry of Supply, co-founded by Aman Advani, Gihan Amarasiriwardena, Kit Hickey, and Kevin Rustagi in Boston in 2012, is a clothing brand that makes radically engineered performance dress clothes. The founders aim to solve people's problems and design truly comfortable apparels that absorb odors and sweat, allow ventilation and stretch, and best of all, do not require ironing or dry cleaning. They Ministry of Supply products are sold on their website as well as at their 8 stores in the United States. What is your background before co-founding Ministry of Supply? I went to Georgia Tech and studied engineering. I thought this was what I was supposed to do because I grew up in Atlanta and liked math. In 2007, I graduated and started doing consulting at Deloitte. It was during that period when I was at Deloitte, I became interested in this idea of how much I hated traditional dress clothes and how much I wanted to change them. Then I came to MIT in 2011 for business school to complement the engineering degree with a different style of knowledge, and I met my co-founders Gihan Amarasiriwardena, Kit Hickey, and Kevin Rustagi. Kit and Kevin have since left the company to pursue other ventures. It’s been a working progress. We believe that our brand should reflect of the value proposition that we are offering and tell a story about why the products matter. It’s not about flashy colors or fonts. Our logos have evolved a couple of times in the past few years. There was a time when we rebranded the logo that was almost too much about a year and half ago, and we learned a lot. We approached this more as customers rather than entrepreneurs. We were solving our own problems, so all the earlier prototypes we made were actually in our sizes, which were extra small and medium. We really shifted our intention early on to be about empathy and understanding what other people’s pain points were -- often we could relate to them, and sometimes we couldn’t. But we were solving this greater pain point about how the dress clothes were terrible and how we could reinvent them. Both you and Gihan had an engineer background with no experience in fashion. How did you approach the design process? We actually approached this as engineers. Fashion doesn’t start with problem statements. It wouldn’t be the linear cycle you see in fashion. It would be a different process. That means through engineering design process. That means through problem statement identification. That means through research and design built with a lot of testing process. That carries a lot of pros as we came out with a more functionally relevant product, but also a lot of cons as we ignored some of the traditional tenets of fashion. We designed everything by ourselves at first and they were ugly, and we realized pretty early on that we did need to complement with the fashion knowledge too, so we brought on our first, and actually still only, design director Jarlath Mellett who came from decades of fashion experience [read more about how Aman found Jarlath in “BUILDING THE TEAM” section]. How did you source your suppliers and manufacturers? We asked someone to ask someone, so through a lot of second degree connections. Early on there was a lot of cold calling – asking factories if they could take our orders and going to garment district in New York, and we found someone who can take on our small batches. Later we found friends of friends who were in the industry and connected us with factories who could do it. We are fortunate that we had a lot of mentorship from Patagonia. Our professor at MIT knew the head of R&D and connected us with him. He was extremely gracious with his time and gave us a lot of suggestions, and we used his factory for awhile. How did you decide which products to introduce at the beginning? We only prototyped two products: dress shirts and dress socks. Before we even met in 2011, we spent a lot of time prototyping these two products, so it was natural for us to launch them first. We started with just dress shirts, and a year later we introduced dress socks. The two products we picked were the ones that customers found the most painful. 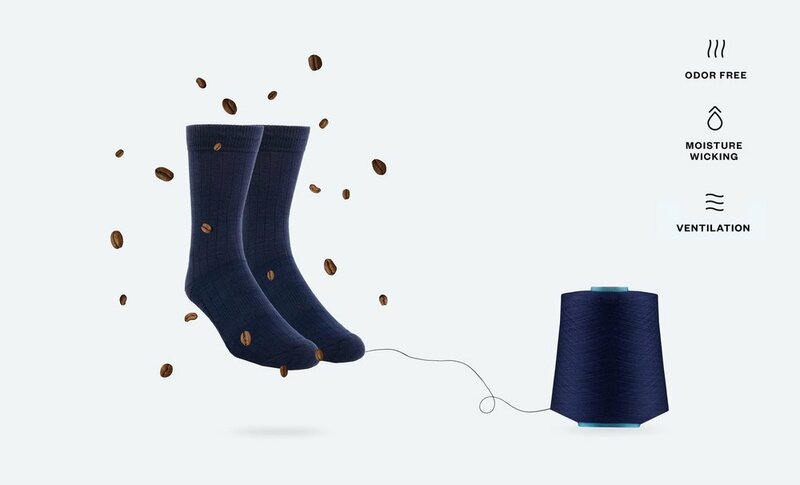 They thought the socks are uncomfortable or gross, especially compared to their gym socks, while dress shirts are made with stiff materials, have sweat stains, and require dry cleaning and ironing. We wanted to start with what we could make the biggest impact. Until today those are the two biggest volume products. When did you start introducing other products and how often do you do it? Now we launch new products once a month or a little bit more. It took us awhile to move from once a year to once a month. It required 12 times more work, but our team is also 12 times larger now, so we can accommodate. How did you decide how much products to make? We made 10 at first and sold 10. Then we made a little more. From there we forecasted. We tested. Our price actually moved around a lot in the first two years. We priced too high initially, and then we priced too low, so we corrected and landed somewhere in the middle, which is our price today. We look at the market and competition, the cost of goods, the value we are offering, and what our customers are willing to pay, and we figure out how these points come together. There are a lot of constraints. We can’t lose money. We can’t charge so much that no one would buy it. We also can’t charge at a price that our competition would undercut us. Boston is our first store opened in 2014. We had spent a lot of time prior to that doing pop-ups. We did everything from two hours to two weeks and from 200 sqft to 2000 sqft. We did them everywhere including hotel lobbies and street corners in Boston, Chicago, Los Angeles, New York, etc. Some held inventories, and some didn’t. We wanted to do everything we could get our hands on and see how the interactions would be. By 2014, we felt like we had done enough pop-ups, so we decided to try a 3-month short-term pop-up to see if people really would really care. We picked this spot on Newbury Street, and it went great, so we just extended, and it became our permanent store. How did you decide the layout? Our team came together in the room and brainstormed. Gihan learned SketchUp and drew up the layout plan. Then we just shopped around at Muji, Ikea, Home Depot, etc. How did you find your design director Jarlath Mellett? It was the perfect timing. Right after we identified the need of a designer’s touch, there was this great article in The New York Times that was really good publicity for us. Jarlath read it and got in contact with us through a friend of a friend. We actually just posted our job description online and immediately took it down because we thought his background was perfect. He was the design director at Theory and designer director at Brooks Brother. He knew what he was doing, so we hired him! He got to know the company and really enjoyed it. He joined about a year after we launched and has been here for over four years now. We grew the company slowly and not always correctly. We had some erroneous judgments early on. We thought we needed a material science engineer, so we hired one, but it turned out we needed to get the basic garment structure done. The material science engineer would probably be a good 20th hire, but definitely not the first hire. The first hire should be someone who understands product development. We didn’t realize that was a missing piece early on, so we went straight from design to production. We quickly figured out that was an issue and made the right decision. How did you convince them to work for you? What we can offer here is that anything you do is on the market tomorrow. You make a new asset or image, and you’ll see it on the website or in the store. You can see your work coming to life, and that fulfillment is not offered at a large company. I think our employees value this fulfillment over paycheck. How do you decide what job functions are internal and what are external? We use external people for job functions that are highly repeatable, such as accounting, and we bring in staff for things that have to be done specifically in house, such as design and product development. Production is managed in house but done elsewhere, and we work with a marketing and PR agency. For example, we’ll make the Facebook Ads, and they help us figure out how to get them to people. It’s a blurry line. A lot of our partners feel like they are a part of the team but just paid through a different structure. Sometimes we hired an in-house role but we shouldn’t have, and sometimes we did the opposite. There were a lot of trials and errors. Where did you work out of at the beginning? Early on we were operating on campus. We worked in our dorm rooms and the entrepreneurship center at MIT. They gave us a space for over six months and let us store our stuff. Our campaign on Kickstarter gave us some cash to start. Then we had a round of fundraising and went through Series A. There were investors who believed in what we were doing and wanted to be a part of it. Until today, we still do a lot of marketing just person by person. We want to get people to understand our products at our store. We have done thousands of handwritten notes in packages. We want to tell our story instead of selling our product. We do things that the press cares about. Sometimes press seems to be a strategy not an outcome, but it really isn’t an input but an output. For us, creating a new category of clothing caught the attention of a lot of press. We chose to do something that was new and bold. We also reached out to a lot of press and told them what our company was and why it was special, and we would send them some samples. Why don’t you do wholesale and have Ministry of Supply sold at other retailers? We want to sell directly to consumers so that we can build these one-on-one relationships. Down the road we will explore wholesale. But first we want to connect with them and tell them why the products are important. We are fortunate to grow both at the same time right from the beginning. We weren’t just an e-commerce first or brick-and-mortar first brand. As the data collected from e-commerce, we could see where the products were resonating, so we opened up our second store in San Francisco because we noticed that there was a lot of sales there. How do you manage the competition with other clothing brands that make dress clothes? We want to differentiate ourselves and stand out. We don’t want to play the same game that everyone else is playing. For example, we don’t want to go head in head with Banana Republic because they’ve been around longer and have an established supply chain. We don’t want to make 10% more improvements. We want to make 10 times more improvements. By using that mantra, we focus on producing something that’s much better than what’s on the market. If you don’t want it, then we’ll shut our company down tomorrow. But if you do want it, we are the best because no one else has done before. Hiring for culture. We want to build a culture where people enjoy coming to work. Ultimately that would create better products in the long run. How do we create a team that’s excited about our mission? It’s not about solving this mission. It’s more about finding the right team to solve this mission. Fashion and retail is a very difficult industry. It’s going to take you awhile. There are a lot of steps between coming up with the concept and getting the right products made. Buckle up.